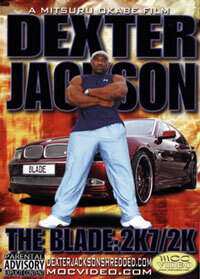 Click here to view a preview of the DVD. From this short clip, the high audio and visual quality can be clearly noted. 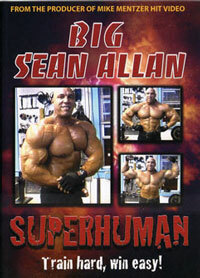 The DVD was shot in the week immediately following Ronnie's crushing eighth straight victory at the 2005 Mr. Olympia Contest. He was still in contest condition at the time of the shoot and looked incredible. Bodybuilders competing at this contest praise Tony for the rest they give him. While the prize money is low as per the usual for Grand Prix events, Tony treats the bodybuilders with a level of respect not even seen at the Mr. Olympia Contest. Back to the DVD - Ronnie starts off with bent over rows with 135 pounds before putting on another plate and doing a set with 225. Ronnie then put on another plate for a set with 315. Ronnie did one more set with the 315 and in between sets, Tony would interview Ronnie about his training and Ronnie would go over tips and tricks which helped him to develop his amazing physique. Can you believe this man is 41 years old? When Lee Haney was racking up the Sandow trophies he was only in his twenties and retired at the young age of 31! Ronnie's next set was t-bar rows. He didn't use a t-bar machine, but the old school method that Arnold used to do back in the Pumping Iron days where he would put a bar in the corner of the room and use a triangle bar for the lift. He started off with six plates and was looking huge. As Tony noted, Ronnie was getting bigger and bigger as the sets went on. What was so impressive about this was seeing Ronnie change so dramatically right before your eyes. He looked like he was putting on a pound after each set. Ronnie did another heavy set for 12 reps (eight plates), then put 10 plates on for another set. Ronnie did the 10 plates for eight good reps.
Ronnie moved on to dumbbell rows next. You have to love how Ronnie consistently trains with heavy weights using the basics. He started off with 65 kg (145 lbs) dumbbells for 15 reps.
Ronnie moved up to 70 kg (155 lbs) for reps on the next set. He pyramided the reps down (going to 12 reps). Tony pointed out that he was getting drier, tighter, and grainier as each set passed. Ronnie said he was sweating out the water during each set. It definitely showed. Ronnie did another set with the 155s for 15 reps.
Tony continued to interview Ronnie after each set. Ronnie was of course very tired but still gave good answers to the questions he was posed. Ronnie posed next. He hit the back poses and was looking very hard and conditioned. If he had posing oil on he would have looked even freakier. He hit the front double biceps and front lat spread poses as well as the crab most muscular and it appeared that his left triceps was injured slightly when he hit the front double biceps. Tony interviewed Ronnie again after the posing and asked Ronnie where the expression "Lights out latspread" came from. 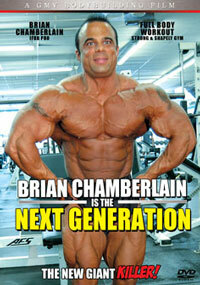 He said he came from the challenge round at the 2004 Mr. Olympia Contest. Ronnie said he took every bit of faith in God he had to stop from knocking someone out after the challenge round because he had to pretend he was enjoying it. Ronnie trained biceps next and said that he had big arms when he was 10 or 11 years old. What is so incredible about Ronnie is that he has the genetics of a gorilla. Gorillas eat bananas all day and have incredibly muscularity. Ronnie is the kind of guy who can make muscle gains honking the horn on the way to the gym. Although, Ronnie has also worked extremely hard to develop his biceps - 28 years of training! Ronnie increased the weight and did another set. His biceps were huge and dense and his strength levels were excellent, which was especially impressive given how close he was to a contest. Ronnie was "pumped as hell" as Tony described, even though Ronnie disagreed with him and said he would be after another set. Ronnie then performed "21s" - an interesting biceps exercise in which you perform seven reps on the bottom range of motion, seven reps at the top range of motion, and seven reps with the full range of motion. He was getting bigger and bigger with every set. Tony described Ronnie as being the biggest, freakiest, hardest person in the world, and this was definitely the truth. When Tony says "big" he is talking about bodybuilding. There are definitely some people bigger than him (with their height), but for a bodybuilder, there is no other as densely packed with muscle as Ronnie was at the time of the shoot. Ronnie trained his abs next starting with rope pulldowns, followed by regular crunches on a flat bench, side crunches, seated crunches, and kickouts. Ronnie's abs were greatly improved at the 2005 Mr. Olympia. Tony interviewed Ronnie about how he changed his physique in 2005 from the one he presented at the 2004 Mr. Olympia Contest. He explained that he dieted year round for the most part, didn't eat as much food at one time as he used to, and wore a weight belt all the time during his workouts while keeping his stomach tense during sets. Whatever Ronnie did, it worked. 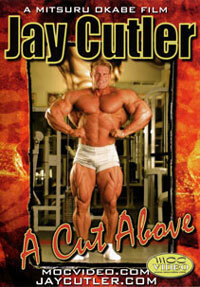 His stomach looked very good at the 2003 Mr. Olympia Contest too (despite what some critics said). 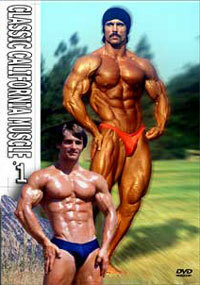 Next up, Tony introduced Ronnie to the crowd where he did his full 2005 Olympia posing routine. Not lacking for confidence (in the least), Ronnie was dressed in complete King regalia. Despite what anyone says, I think Ronnie is a good poser. Perhaps not the best ever, but definitely very good. I do believe Ronnie injured his left triceps though, as they appeared to be down in size. He posed to a mix of a few songs during the routine and was definitely in contest shape - some would say he looked even better than he did just a week earlier at the Mr. Olympia. 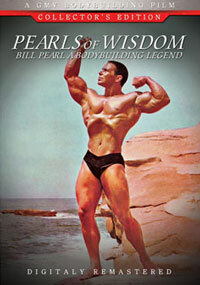 Ronnie hit all the usual poses and was as hard as a rock - shredded and striated and over 280 pounds (at a height of 5'11). Next Ronnie was back at Tony's gym training shoulders. Ronnie ate some BBQ chicken and rice and once the food was in him, Ronnie blew up. It's amazing how a bodybuilder's physique can completely change before your eyes with food or a good pump at the gym. When a bodybuilder is in such a depleted state, this change can take place very quickly. Ronnie started off with machine military presses. Ronnie next did side lateral raises using very heavy weights. He used the rear delt machine next which Ronnie said was a great exercise to isolate that area of the shoulders. Ronnie followed this up with cables. You could see all the camera people at work in the mirror during his set. You could tell GMV put a lot of work in this production and it showed. Ronnie did another interview in between his set and explained his workout technique. This made the DVD very instructional in nature and good for beginner's to purchase as well wishing to learn more about proper technique. Ronnie hit the shrug machine next and was looking incredibly vascular during his sets. I was extremely impressed with the lighting, as no other Ronnie DVD has ever had lighting this good before. I enjoyed the DVDs by Mitsuru Okabe, but they pale in comparison to the video quality of this one. Mits is a good producer but was basically in the right place at the right time for Ronnie when he was lifting extremely heavy weights for some impressive power exercises (squats, deadlifts, bench press, etc). 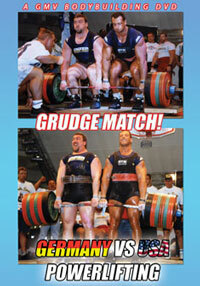 Ronnie did sets using 500 pounds for the shrug machine. Ronnie hit some most muscular poses after his set. Ronnie hit chest next, starting with the machine bench presses on the incline (non Smith Machine variety). Ronnie did some more sets for chest and the lighting did a great job in highlighting the muscularity and grainyness of his chest. Ronnie then did cable crossovers for his chest as the reps were counted out. After that he hit some poses and was looking great just one week after the Olympia. At this guest posing Ronnie took off his shirt to pose and his abs were still looking deep cut and overall his condition was very good. Of course, he was lacking contest oil. He posed his legs as well and they were as vascular as ever. His glutes and hamstrings were still hard so it was clear his condition was still being held. Ronnie spent some time talking about training before hitting the vertical leg press machine. In my life, I have never been to a gym that has this machine. Ronnie then went on to do hack squats. Ronnie really packed on the plates for this exercise and did high reps. He had five plates on each size but they looked to be slightly larger than the usual 45 pound plates. Ronnie hit squats next, which he performed on the Smith Machine. He had three plates on each side but the plates did appear to be larger than 45s. Ronnie did standing single leg hamstrings curls next and you could see the hardness and condition in his hamstrings during every rep. Ronnie always has hard glutes and hamstrings on the day of the contest, even if he shows up slightly overspilled. It should also be noted how huge Ronnie's calves are. They may lack the diamond shape as shown by Jay Cutler and Dorian Yates, but they are still huge - some of the biggest around today (or from any bodybuilding era for that matter). Ronnie next did stiff legged deadlifts for his hamstrings, which was filmed in another great angle to highlight his huge calves and hard hamstrings. In between sets, Ronnie once again explained his technique. Ronnie did another posing exhibition in front of a huge crowd again and was bigger than he was previously while still being in great condition. Ronnie "raised the roof" during his posing, and exposed his stomach which got distended with the additional muscle mass he gained. Ronnie's best weight is probably around 280-290 in contest as long as he puts forth the effort to control his midsection, as it is all a matter of discipline. Other than his left triceps which appeared to be injured, Ronnie looked fantastic. When he hit a most muscular pose you could see almost every muscle fibre as detailed as can be. The DVD then wrapped up giving thanks to some people who made the DVD happen including Tony Doherty and some others. Ronnie said he is asked from people all around the world what he eats after a workout (whether or not it is a protein shake). Ronnie said he eats chicken breasts and potatoes immediately following a workout (good plan!). Ronnie says he drinks his protein shake in the morning and for his last meal of the day. Tony interviewed Ronnie about nutrition and Ronnie said he didn't understand the obesity epidemic in the USA when Tony questioned him about it. Ronnie says he can't understand that lifestyle. I would tend to agree. The awards of working out and eating clean are far greater than eating crap and neglecting exercise. Ronnie was interviewed again by Tony where Ronnie promised to continue to improve (at the age of 41 going on 42!). Very impressive. Ronnie was seen next signing autographs for his fans and then pumping up backstage before his posing exhibition. He was wearing a tank top during this sequence. Next Ronnie was getting oiled up before the posing and was looking big and cut. A lot can be said about this DVD. It is important to note that the training was not quite as heavy as in the Unbelievable DVD and the Cost of Redemption DVD. That having been said, Ronnie will never again be training quite that heavy, either on the camera or off. At 41 years old, and with the goal of making it to 10 Mr. Olympia victories, Ronnie needs to focus on longevity and injury prevention. By deadlifting and squatting 800 pounds for reps, he greatly increases the chances of an injury. 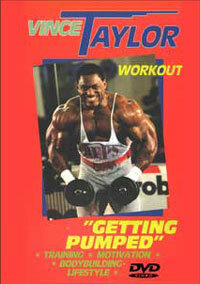 But Ronnie DID train heavy in this DVD, just not entirely as much as he has before. The technical aspects of this DVD were second to none. They were fantastic! The lighting and camera angles were great and the overall quality of the production was first rate, exactly what I have come to expect from GMV at this point. Mitsuru's videos of Ronnie were quite good, and some will prefer them for the captures of Ronnie squatting and deadlifting what he did, but that had less to do with production values and more to do with Mits being at the right place at the right time. Basically anything with Ronnie attached to it will be a good view though. Another great thing about this DVD was the very instructional nature of the production. Ronnie always took the time to explain why he did each workout and gave tips on how to train. This makes it perfect for the beginner and advanced trainee. If you like Ronnie, or like GMV Productions or bodybuilding videos in general, this is definitely something for you. Pick it up if you have the chance, it is sure to please.